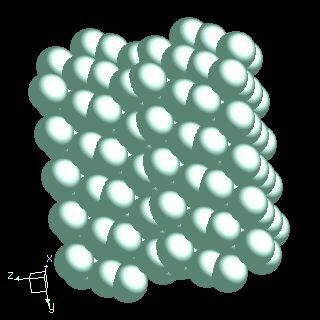 Fluorine crystal structure image (ball and stick style). 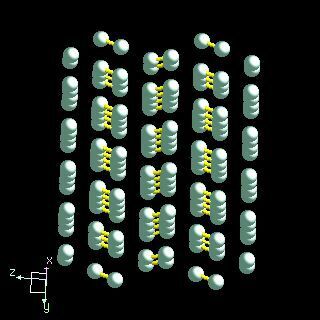 Fluorine crystal structure image (space filling style). L. Pauling, I. Keaveny, and A.B. Robinson, J. Solid State Chem., 1970, 2, 225.